The Index opened huge up around 8243 and stayed strong throughout the entire session of trade and closed near the highs at 8325.25, huge gain of 133.75 points. The broader market was also strong, with just 1055 advances to 442 declines. Developing Range as per Option Table is 8100-8500. 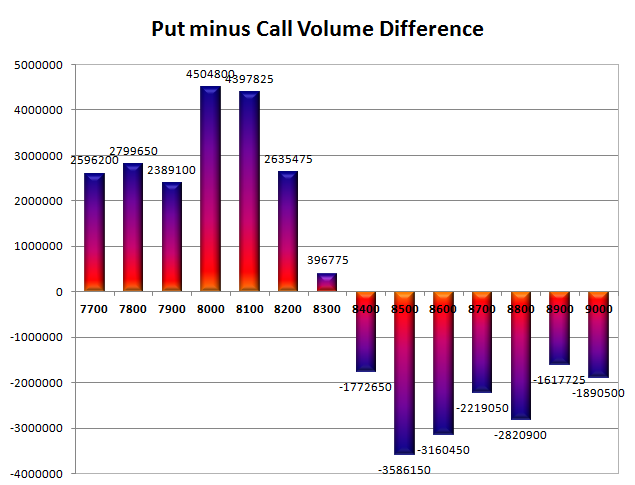 Call option 8300-8500, 8600-8700 added 6.82 lacs OI with huge short covering seen at 8200 and below strike price. Put option 8400-7800 added huge 46.06 lacs OI with profit booking seen at 7700 and below strike prices. 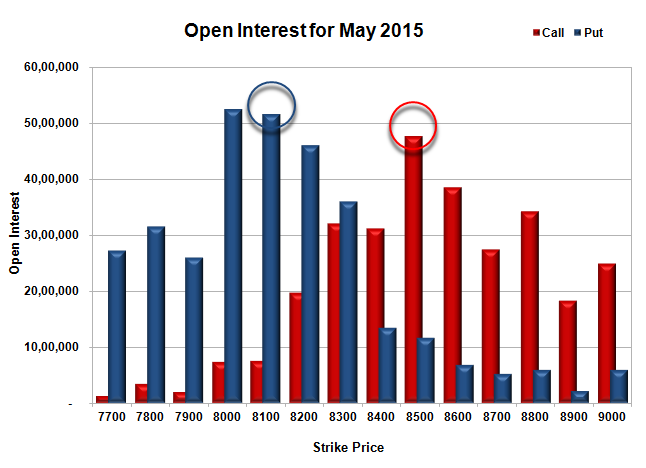 Nifty Open Interest is at 1,36,59,750 down by 3,03,775, with increase in price, most probably huge short covering. 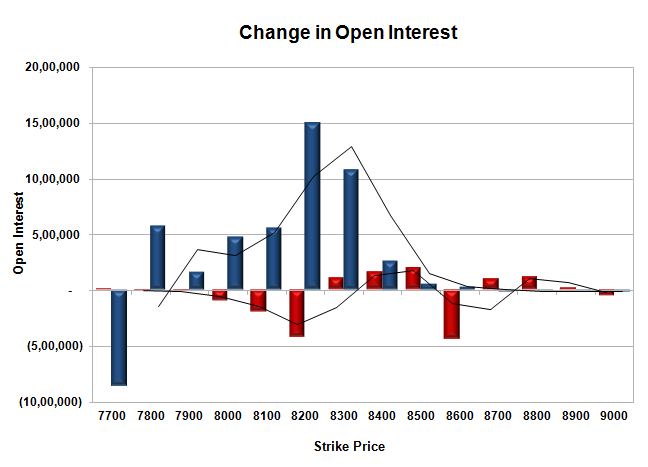 Bank Nifty Open Interest is at 17,00,150 down by 1,09,00, with increase in price, most probably huge-short covering. FII’s bought 3.48 lacs Futures, which includes 8043 contracts long build-up and 5895 contracts short covering, with increase in net OI by 2148 contracts (includes 53102 longs to 39164 shorts for the day) and the Average Price comes to 9053.82. FII’s Index future open contract as on date is 234415 Longs to 193227 Shorts, net long just 41188 up 13938 contracts. Initial support now at 8300, with OI of 36.00 lacs and below that at 8200 with OI of 46.06 lacs. Initial resistance at 8400, with OI of 31.22 lacs and above that at 8500 with OI of 47.61 lacs. Day Range as per Option Table is 8202 - 8405 and as per VIX is 8244 - 8406 with 8294 as the Pivot.